Thousands of litres of recycled oil form a waist-high horizon that surrounds you as you walk down a gangway through inky liquid. 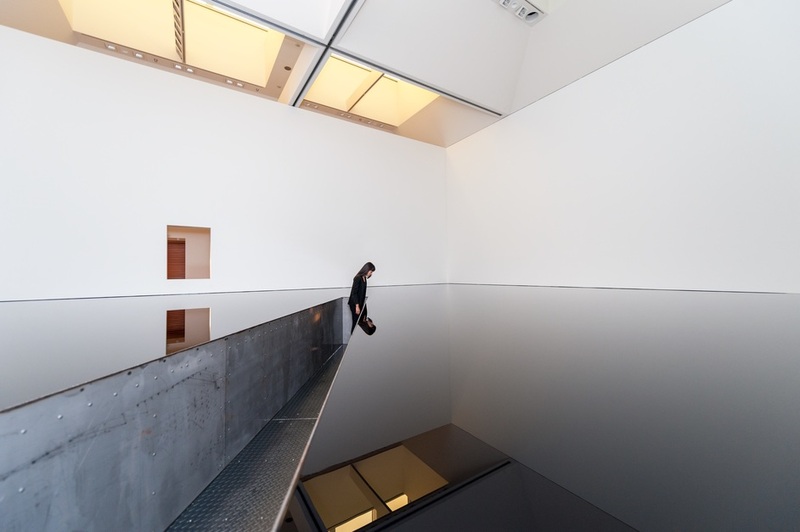 Richard Wilson's monumental installation, 20:50, occupying an entire upper space of the Hayward Gallery, is one of 20 works in Space Shifters, an exhibition which explores the gallery's refurbished spaces. All of them alter or disrupt our sense of space in ways that are subtle yet dramatic. Participating artists include Jeppe Hein, Roni Horn, Anish Kapoor, Yayoi Kusama and Alicja Kwade whose WeltenLinie - featured in the New York Times' "The 10 Best Things We Saw at the Venice Biennale" - is shown for the first time since its premiere there last year. Glass, mirrors, stainless steel spheres, reflection and refraction help us to see the Hayward Gallery in a new light. What are the best dining options near Space Shifters London? Space Shifters gyms, sporting activities, health & beauty and fitness. The best pubs near London Space Shifters. Space Shifters clubs, bars, cabaret nights, casinos and interesting nightlife. Where to have your meeting, conference, exhibition, private dining or training course near Space Shifters. From cheap budget places to stay to luxury 5 star hotels see our deals for The Hayward Gallery hotels, including Corinthia Hotel London from 97% off.